About a month ago, we brought you news that Zack Snyder’s Superman: Man Of Steel had finally cast its main villain, General Zod, to be played by Boardwalk Empire star Michael Shannon. 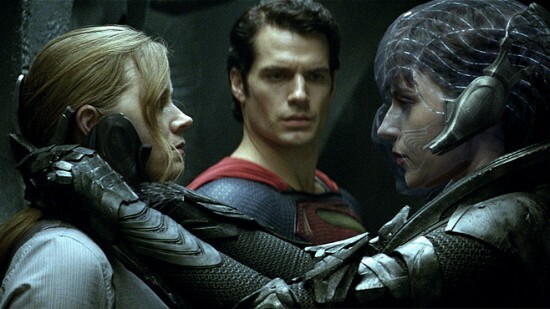 It seems now Zod has a sidekick, as German actress Antje Traue has been cast as Zod’s right hand woman Faora. Comic fans may know the name, but for those who aren’t inundated in DC’s lore as much, Faora was the main inspiration behind the character Ursa from Richard Donner’s Superman and Superman 2. Variety breaks down the origins of the character. There are multiple Faoras in the Superman universe, so it remains unclear which one Traue has been tapped to play. The first Faora, Faora Hu-Ul, was introduced in Action Comics #471 as a beautiful Kryptonian woman with an intense unexplained hatred for all men. She was an expert at the Kryptonian martial art of Horo-Kanu, which utilizes pressure points on the Kryptonian body and made her a dangerous foe for Superman to fight in hand-to-hand combat. In fact, he was forced to flee from their first encounter.